Dusty ruby color. Aromas and flavors of spiced blueberries, marinated olives and carrots, and cherry cola with a bright, dry-yet-fruity medium body and a medium-length finish with accents of honeyed citrus peels, menthol mint lozenge, and nuts with crunchy, chewy tannins and moderate oak flavor. An appetizing, savory red that will be great with meat and vegetable dishes. 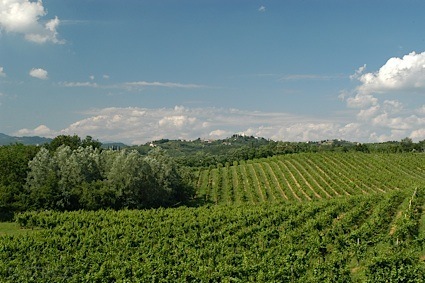 Bottom Line: An appetizing, savory red that will be great with meat and vegetable dishes. 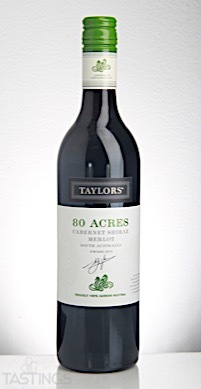 Wakefield/Taylors 2015 Eighty Acres, Cabernet-Shiraz-Merlot, South Australia rating was calculated by tastings.com to be 88 points out of 100 on 9/19/2017. Please note that MSRP may have changed since the date of our review.